The events will begin at 10 p.m. on October 21, at Bellevue Square Mall Westfield San Francisco Centre; Scottsdale Fashion Square; Dadeland Mall in Miami; Lennox Square Mall in Atlanta; the Shops at Prudential Center in Boston; the Westchester in White Plains, N.Y.; the Domain in Austin, Texas; the Fashion Centre at Pentagon City in Arlington, Va.; and Oakbrook Center Mall in Oak Brook, Ill. Microsoft says there will be games and prizes at these locations, and attendees will get a chance to hop a plane to Microsoft's Orlando store to meet Pitbull the next morning. Even Pitbull looks slightly confused about being part of the Surface 2 launch shindig. The main difference this year is the lack of “pop-up” stores in areas where the Microsoft lacks a permanent retail store. For the 2012 holiday season, Microsoft opened more than 30 pop-up stores around the United States and Canada, for a total of 65 launch spots for the original Surface RT. But over the past year, Microsoft has opened many more full retail stores. There are now 71 Microsoft Stores in the United States, three stores in Canada and one store in Puerto Rico. That's more than the combined number of stores and pop-ups Microsoft had last year. Microsoft said last week that some Surface models are selling out online. 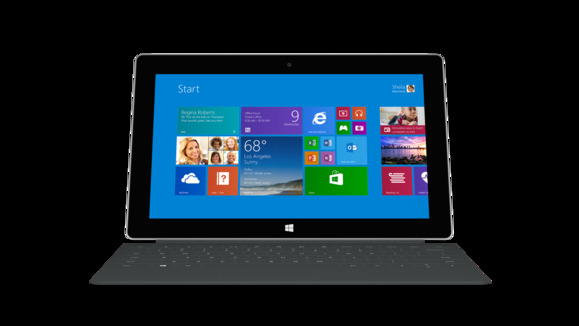 The 32 GB Surface 2 is now listed as out of stock, and the 64 GB model is shipping on October 25. All Surface Pro 2 models except the 64 GB version are now scheduled to ship several days to one week after the October 22 launch. However, Microsoft's physical stores don't seem to have those supply issues, so a midnight launch—or the morning after—is your best bet for getting a new Surface in a timely manner.